At Unicorn Trails, the health and safety of our customers is of paramount importance. While cases of the Zika Virus remain predominantly in Brazil and Equador, there have been reports of cases in Mexico, Barbados, Dominican Republic, Jamaica and Cape Verde. Unicorn has many horse riding holidays in Central and South America. Everything is superlative - the highest mountains, the most remote wilderness, the driest deserts and we believe the best horse riding adventures. Horse riding holidays in Argentina are a natural way to explore the culture and landscapes that make Agentina so special. 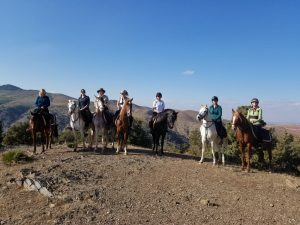 Many people only think about North America and in particular the USA when considering a ranch riding holiday. However, Argentina has vast cattle ranches - called estancias - with very impressive estate houses called haciendas. These get passed down through each generation of a family and lucky for us riders, many now welcome visitors. This doesn't mean they are not authentic or traditional - far from it. These estancias offer warm hospitality to riders of all levels and are normally located in stunning scenery. They make for an upmarket and relaxing horse riding holiday. If ranches in Argentina don't immediately spring to mind, then polo certainly will. And don't forget Argentina is the home of polo. Stay on an estancia and try a chukka or two. Often you'll be playing against the gauchos - who don't always let the tourists win! For the more serious enthusiast, why not immerse yourself for a whole week into this addictive sport on a polo holiday. If you haven't played before, lessons can be arranged. Of course you may seek a more challenging horseback holiday. In this case head for the magnificent and immense Andes Mountains. The views are completely stunning and you will ride over the massive snow covered volcanic peaks. You can even ride the route of the Spanish conquistadors, crossing over the Andes from Chile into Argentina for the ultimate horseback holiday. We offer estancia hopping for riders wanting more comfort or camping trips for the truly adventurous rider. There is no better way to experience the geography, culture, flora and fauna than on one of these amazing, remote horseback trails in Argentina. We must make mention of the excellent Argentinean horses. The most common breed of horse is the Criollo - sure-footed and known for its stamina and endurance - the perfect horse on your perfect Argentinean horseriding holiday. Chile is unique in its geography and geology and has the most unusual shape of any country - like a string bean! Horse riding holidays in Chile are as such very diverse. The Spanish conquistadores brought in the first horses to Chile and there can be no better way to experience the country than on an equestrian holiday. Patagonia in the extreme sounth is very remote and totally spectacular. The National Parks are sublime attracting nature lovers of every kind, including horse riders. The area is large - covering about a third of Chile. On a horse riding holiday in Patagonia you will feel on the edge of the world, and can expect to see towering mountains and glaciers - all formed long before humankind. You should be mindful of the climate which can suddenly turn hostile. Unicorn Trails has several holidays in Patagonia to choose from. The Glacier Ride, a camping trail, is best suited to the more adventurous. Riders wanting the luxury of a real bed and hot shower should opt for an Estancia Stay with long daily rides out. Further north, another geological wonder in Chile is the Atacama Desert which is the driest desert in the world. Our horse riding holiday in the Atacama combines the desert with oases, geysers and mountains. The rock formations defy belief. A must-do activity is to climb a mountain-like sand dune in Moon Valley, wonder at the sunset and then watch the Andes in the east turn an eirie deep peek. There's an abundance of history in the Atacama area with wonderful archeological sites to visits and Inca forts to explore. To discover the Atacama on horseback is such a priviledge. Yet another stunningly beautiful area of Chile is the Lake District, to the south of centre of the country. The weather is less extreme and it's here that you can discover pristine lakes, snow topped volcanoes, black lava tubes and the indigenous monkey puzzle tree. Dotted around the lakes are some lovely beaches and a full range of outdoor sports activities such as white water rafting. We have a horse back holiday that starts in Argentina and crosses over the Andes into this area. The capital of Chile is Santiago which is situated north of the centre of the country. Even here you will find natural beauty as the city is sandwiched between the Andes to the east and a smaller coastal mountain range to the west. Starting from Santiago you can cross from Chile to Argentina across the immense Andes, where huge herds of guanacos roam and the Andean condors nest. This is a holiday of a lifetime and takes the historic route across the exact same spot that San Martín crossed in 1817 when he freed the Chilians. The ride is flanked by the towering Aconcagua and Mercedario - the highest mountains in America. These remote places are uninhabited places, accesible only on horseback. This is a superb South American horse riding holiday. We are delighted to offer a fantastic ride through that offers a glimpse into the true Dominican Republic, away from the homogonous coastal developments. The landscape of the Dominican Republic is forested and mountainous, with valleys, plains and plateaus and its famous coastline stretches for 1,633 km, bordered by the Caribbean Sea to the south and the Atlantic Ocean to the north. Sandy, white beaches can be found all along the coastline and our riders get the chance to gallop freely along quiet beaches and swim in the sea with their horse as well as discover the inland plains populated with sugar plantations and majestic waterfalls. Family ties are very strong in the Dominican Republic an it is not uncommon to find generations living in close proximity or even under one roof. Family comes first in most social situations and the people are extremely hospitable and welcoming, often treating house guests like Royalty! Our itinerary will give riders the chance to experience this first hand as some nights are spent in local guest houses. With all the holidays that now take place in Peru, a horse riding holiday is probably not the one that springs to mind when Peru is mentioned. Yet surely even walking the Inca Trail has to pale into insignificance when compared with exploring this historic Sacred Valley of the Incas on magnificent Peruvian Paso smooth gaited horses. Our ride in Peru is one of Unicorn Trails' premier horse riding holidays and is called Luxury Sacred Valley. With your superb Paso horses, you will ride the land that the Incas walked, ruled and farmed and will explore many areas within the Sacred Valley of the Incas that most tourists simply never reach. Naturally you will also visit the key sites of Machu Picchu, Cusco, Ollantaytambo, Sacsayhuaman etc. This really is a riding holiday with a difference. The horses on this ride are the best Peruvian Pasos in the business trained by a master. As this is a premier holiday you will stay either in the comfort and luxury of excellent hotels, or when camping near the Inca sites you will be in comfortable camps. This exclusive horseback holiday trip is more than an unforgettable riding experience in the Andes, it combines culture, history and adventure. So very few people are privileged to experience Peru in this way and we know it is a holiday you will remember for years to come. Unicorn's Horse riding holidays in South America cannot fail to include Brazil. It is South America's largest and most influential country, occupying almost half of the continent. It has borders with every South American country except Chile and Ecuador and to the east it is bordered by the Atlantic Ocean, but it is surprisingly flat. Unicorn Trails offers you very special horse riding holidays in Brazil, far away from the hustle and bustle of crowded Rio. Between the rivers of the south and the Amazon is a large plateau called the Mato Grasso which is the gateway to the Pantanal. This is a wilderness area of wetlands and it's here that Unicorn offers a unique equestrian vacation. It is home to the highest concentration of wildlife in all the Americas and has one of the largest ecological sanctuaries. The vegetation is a mixture of the three most important ecosystems of South America. The swamps flood seasonally. This is home to working cattle ranches (fazendas) and a rich cultural cowboy culture. This Brazilian horse riding holiday offers wildlife seen nowhere else, an adventure and the chance to observe the harmonious relationships between the horse and the environment and local people. Our ride treks from one Fazenda to another, deep within the Pantanal. Getting closer to Central America, we have some excellent horse riding holidays in Ecuador. It is bordered by Colombia to the north, by Peru to the east and south, and to the west by the Pacific Ocean. Unlike most other South American countries, Ecuador welcomed the arrival of the Spanish as they were freed from Inca repression. Today, much to the delight of tourists, Ecuador remains a multiethnic and multicultural nation. Over 14 indigenous groups retain their own traditions and cultures. Quito, Ecuador’s capital, has a beautiful setting and it's here that most visitors will begin their love affair with Ecuador. It is in shadow of the volcano Pichincha and its twin peaks of Ruco and Guagua. Because of its height above sea level is is advisable to spend a couple of days here to acclimatise and avoid altitude sickness. Ecuador is a country with an incredible variation of scenery from the Andes Mountains to the Amazon jungle, from the Pacific Coast to the Galapagos Archipeligo. Why not try one of our riding adventures based at, or organised by, Hacienda La Alegria. Cattle Drives are always very popular and here in the Avenue of Volcanoes we can offer a very special trail. You'll ride and work alongside the 'chagras' - horsemen of the mountains - rounding up the bulls that have been grazing on the paramor above 3500 metres high. This is authentic cowboy work - not a tourist arranged event - and is an adventure not to be missed. We also offer some fantastic opportunities for you to extend your holiday here in Ecudor by visiting the amazing Galapagos Islands. Until recently Uruguay was the best kept secret in South America. Tourism is now on the increase, but outside the capital, Montevideo, you may still find it hard to meet more than a handful of tourists. It is small by South American standards, being about the size of Great Britain, and you'll find it sandwiched between Argentina and Brazil with a lovely long ocean coastline. Uruguay has two claims to fame. One is its miles of unspoilt sandy beaches and the other is the fact that it won the first football World Cup in 1930! Uruguay is classic gaucho country. Horseback riding is an integral part of the culture as raising cattle is big business and the gauchos still depend heavily on horses to handle the cows. Riding is taken for granted here almost like walking is in some parts of the world. The Criollo horses are ideal for the terrain and will carry you comfortably through the hill country of the interior and along the white sand beaches of the coast. These horses are reliable and responsive mounts and the traditional saddles are very comfortable. 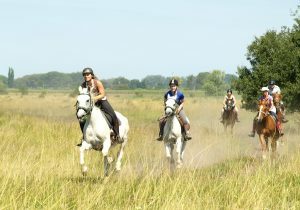 Our horse riding holiday in Uruguay is called Estancias and Beaches and offers an authentic South American experience. It explores not only working estancias but also protected wetlands, tropical palm groves, beaches, shipwrecks and marine life such as whales, seals and dolphins. The Criollo horses are reliable and responsive mounts and the traditional saddles very comfortable. Officially Mexico is at the extreme south of North America. In the north it is bordered by the USA and in the south by Belize and Guatemala. It has glorious beaches bordering the Pacific Ocean to the west and the Caribbean Sea to the east. In its Pacific seas, grey whales and elephant seals abound and its the caribbean seas boast wonderful underwater reefs. Swamp and deserts, tropical lowland jungle and high alpine flora all exist in Mexico. Despite its sea level coast, the country has a central plateau flanked by mountains. Just as countries further south like Ecuador and Peru have their Inca history, so Mexico was once home to the fabulous Aztec civilsation. This little country has an incredible diversity of flora and fauna. Despite it's small surface area, Costa Rica has five different types of tropical rainforests, miles of powder white sand beaches and unique animal and bird life. Twelve percent of the land has been set aside as national reserves to protect the astonishing number of plants, birds, reptiles, insects and mammals. There is a great deal to explore in Costa Rica; from active volcanoes to palm-fringed beaches - just perfect for a riding holiday.